ADEBAYO BANKOLE OGUNYEMI, Notary Public of Nigeria. Admitted, into the Nigerian Bar in 1971, Mr. Ogunyemi’s legal experience covers vital sectors of the Nigerian economy such as Banking, Oil & Gas, Property, Commercial Legal Practice and Foreign Investment. Mr. Ogunyemi became external Solicitors to various financial institutions and Insurance firms, some of which include Wema Bank, National Bank, Bank of the North and British-America Insurance Company. He became a committee member of the IBA in Business Law, Energy Law and General Practice and has attended numerous residential courses organized by the IBA in Berlin, Lisbon, Hungary, and Canada to mention but few. Mr. Ogunyemi’s extensive experience and practice has serviced the needs of multinationals and local corporations and have provided comprehensive legal representation with regard to the full spectrum of corporate activities and requirement both within and outside Nigeria. Mr. Ogunyemi is also a permanent member of the Nigerian Institute of International Affairs. Prior to his engagement as Managing Partner in Bayo Ogunyemi & Co., Rotimi worked in various capacities in DAC LEGAL, a Law firm with partnerships in Europe and America. 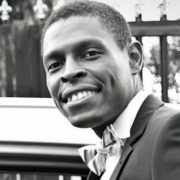 Rotimi has critical experience in handling legal issues involving ICT, Compliance&Regulatory matters, Legal&Legislative Drafting, Legal Issues on Innovative and Disruptive Technologies, Protection of Intellectual Properties and Digital Assets, E-Business, Social Media, Internet governance, and all aspect of Law relevant to the current information and digital economy. He is the 2nd Vice Chairman of the ICT Committee, Nigeria Bar Association – Section on Business Law (SBL). He is a committee member of the International Bar Association in the Technology Law Committee, and Communications Law Committee amongst others. Rotimi is Co-founder and President of Spindlar Cyberlaw Centre.